Special teams thoughts from coaches from around the country is that special teams play is a crucial part to any championship team. We have all been part of a team which has lost a game because of poor special teams play. 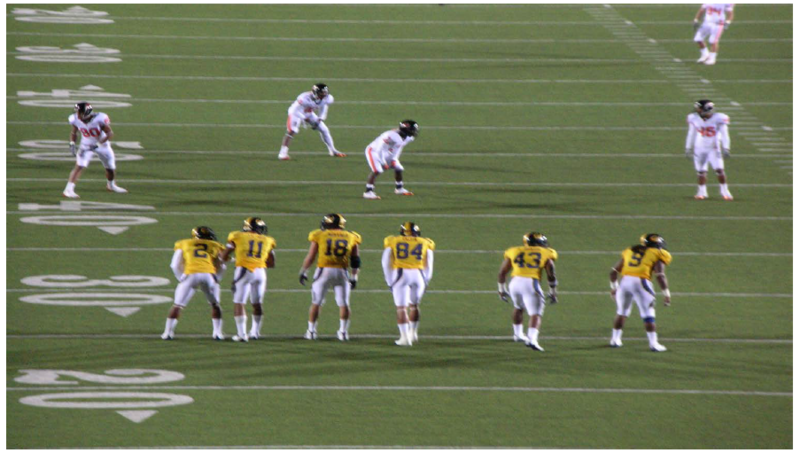 We all must realize the importance of special teams play! Everyone must feel honored and desire to be part of our “Special Forces” team and “Dare to be great” in order for our team to achieve. When an honoris bestowed upon you, a great responsibilities to perform. 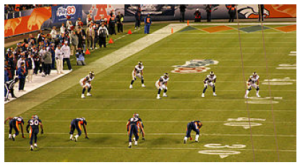 We will use this formation to try and catch the return team off guard if they do not adjust to our formation we will on-side middle if we are up or after a score: We will attempt to have a number advantage at the football. 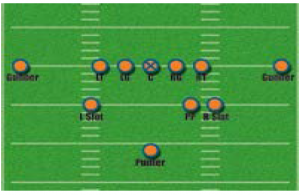 We will align in the cluster formation and expand before the kicker is ready to kick the ball. 1’s are contain they are to keep ball carrier inside shoulder and in front working to ball depth. 2’s & 4’s sprint straight down field for 20yds avoid block to the side he turns his back to, close on the ball inside and in front. 3’s & 5’s Sprint 30yds avoid block to backside close on ball inside and in front. Kick off return is a middle return and to our side line right or left blockers will have an assigned man an we shall attempt to confuse the defense with cross blocks and double teams the returner must beat the kicker himself. 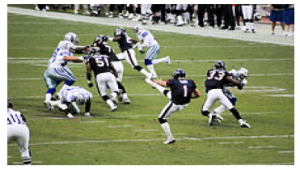 Gunners best release to football: Wing protect your gap ball punt release to lane. Snapper free release to football. 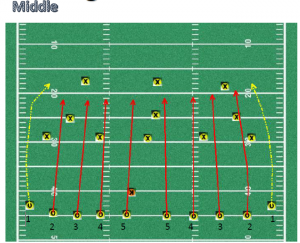 PP step up protect gap release to coverage lane: We will attempt to punt to the short side off the field to pin returner or kick ball out of bounds to deter a return. We will use a man blocking scheme on punt return and lock up defender at the LOS once engaged with the blocker you stay attached to harass his release to the ball. Guards& Tackles from a 3 point stance at snap take one step behind the leg of the me to your inside. And protect inside gap. Wings: alignment 45 degree angle with inside leg splitting the crouch of the end. 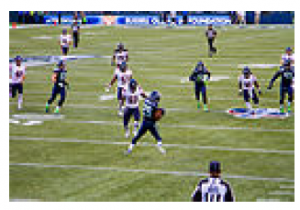 Holder-Count to insure you have 11 on field. Wait for kicker to go thru routine once ready call cadence and snap. 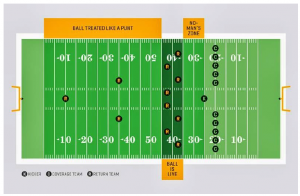 Catch and place ball with near hand (3 fingers) don’t look up once ball is kicked place (hand on the spot): were bottom of the ball was. 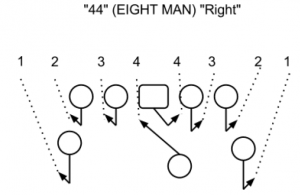 Swinging gate: if we have numbers kicker snap and throw.